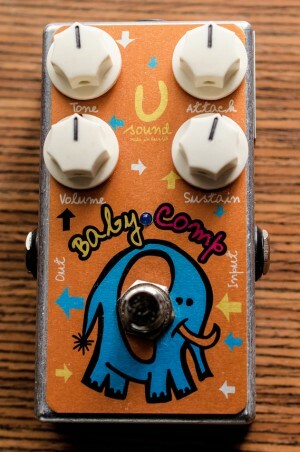 Another representative of the Baby series pedals. This compressor has the distinction of the pedal "Stamp'O Comp" not only in the number of knobs and dimensions, but also built on a fundamental change in the schematic. Unlike its predecessor, this pedal use another chip that has been used in Japanese pedals compressors (Tokai, Yamaha and others) in the late 70s and early 80s. Do not use switching power supply! "Baby Comp" will ship within 3-4 business days of receiving cleared payment.